HTTP server for phishing in python. Weeman has support for most of the (bigest) websites. Usually you will want run Weeman with DNS spoof attack. (see dsniff, ettercap). [!] If weeman runs on your platform (Mac/Windows), please let me know. For port 80 you need to run Weeman as root! 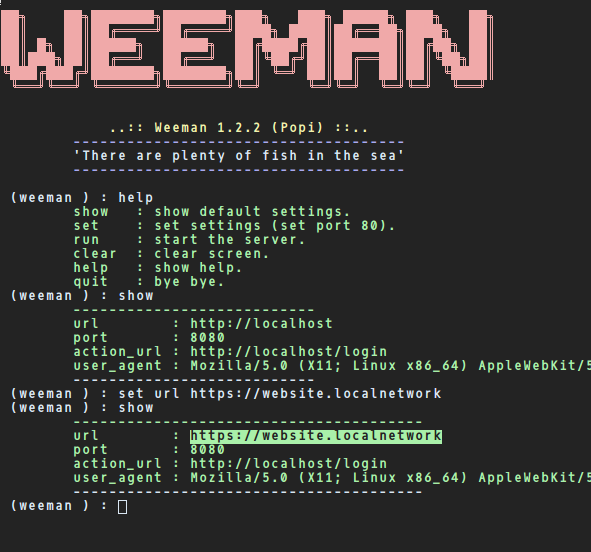 The settings will be saved for the next time you run weeman.py.